Our complete services include transportation to all the major airports in Sacramento, San Francisco, Oakland, San Jose and Reno. We also provide comforting transportation packages for Corporate Groups and Events, Weddings, Birthdays, Sporting Events, Concerts, Holidays, Proms, Dinner Parties and that special occasion for that someone special. You can always count on the amazing service you will receive from our highly trained staff of talented and Limousine Chauffeurs. - Our goal is your complete satisfaction! 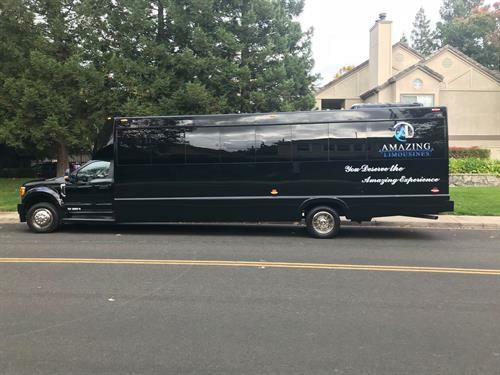 Amazing limousines is fully licensed by the California Public Utilities Commission, license number. All of our vehicles are fully insured, inspected and monitored by the California Department of Vehicles Pull Program. Our experienced Drivers are all tested and enrolled in the DOT Random Drug Testing Program by law.